Being a customer-oriented firm we manufacture, supply and export an extensive gamut of Power Capacitors. 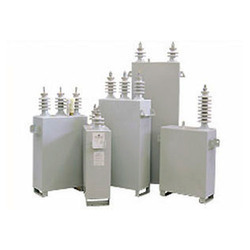 This range comprises Running Capacitors, Fan Capacitors, LT Shunt Capacitors, Starting Capacitors, Discharge Lamp Capacitors, Cylindrical Capacitors, Box Type Capacitors, Heavy Duty Power Capacitors and various others. 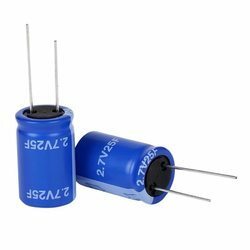 Ours is a well known name in the market that manufactures, exports and supplies Special Power Capacitor that is specifically designed by our experts. Because of the low watt loss, rugged construction and leak proof nature, the proffered collection of capacitors is widely famous in the market. Cement plants, textile mills, sugar mills, steel plants and paper mill are some of the application areas. Temp. Category 55 Degree Max. Standard Power Capacitors are manufactured, exported and supplied by us in different specifications. Lightweight and compact in design, these capacitors are highly admired in the market for their regular performance, longer operational life and rugged construction. Weather proof and highly efficient, this selection is vastly popular among our clients. 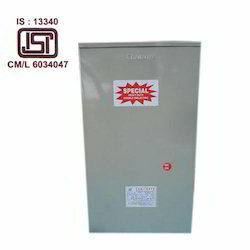 Being one of the reputed names of the industry, we are involved in offering Power Capacitor, which is available in standardized packaging. Manufactured as per the set industry guidelines, the offered capacitor is vastly used in APFC panels. 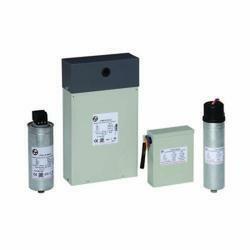 Owing to the excellent capacitance resistance, heavy duty power capacitor is highly sought after. Special Power Capacitors are manufactured in compliance with the set industry standards to ensure durability and greater efficiency. Made available in a series of specifications, the proffered set is vastly acknowledged for its longer functional life, regular performance and compact size. Offered range is tested for its performance, before the final dispatch. Looking for Power Capacitors ?